Win Sky Force, Legend of Kung Fu Rabbit and Fantastic Force on DVD. Signature Entertainment is one of the leading names in independent UK film distribution and production. Their team combines a wealth of film expertise with a vibrant and fresh commercial outlook to deliver diverse quality entertainment to the cinema and the shelves. Founded just four years, in 2014 Signature released more product than any other film studio or distributor in the UK. Now, with a catalogue of over 250 titles, and an incredible state lined up for 2015, Signature is the fastest growing and most ambitious distributor in the UK film business. Sky Force is the most elite emergency fighting team in the sky. 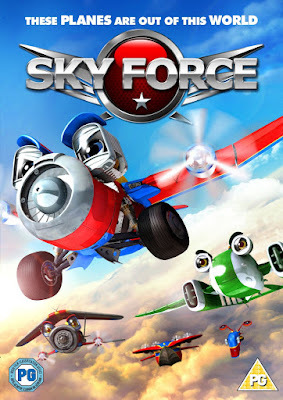 After hot-shot team member Ace breaks ranks on a dangerous mission and it results in tragedy, he leaves Sky Force for a dreary job in cargo hauling. However Ace can't forget his former life or his friends at Sky Force. When his cruel boss puts his cargo co-workers in danger, Ace takes action. Knowing that he can't be a hero on his own, Ace overcomes his fears and calls on Sky Force to help save the day! 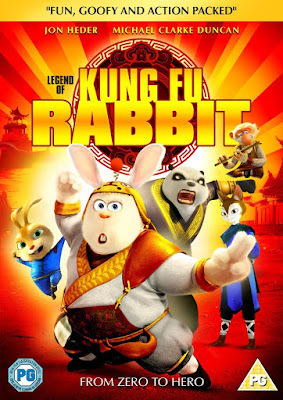 Fu is a fun-loving young rabbit who enjoys nothing more than cooking pancakes and practising Kung Fu, but he's got a long way to go before he can match the skills of his teacher Shifu, an elderly monkey whose small stature and white hair belie his mastery of the Chinese martial arts. Teaming up with the irrepressible Penny (herself a Kung Fu prodigy) and her sidekick Biggie, Fu finds himself on a heroic quest to defeat the evil panda and save his master's Kung Fu academy from destruction. Four kids are bound together to travel through time and books on a mission to save the world. 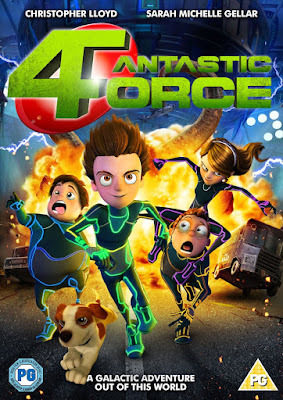 With endless foes intent on stopping them, from evil government agents to a giant octopus, the Fantastic 4orce will voyage through underwater cities, jungles, and outer space in order to complete their quest. Please note: You must at least follow/like both Unique Young Mum and Signature Entertainment on at least one social media platform! To find out more about Signature and to view their other titles, check out the official website here.